This is not a how-to post. I’ve spoken before about my difficult with eating elegantly: i.e., getting caviar stuck in my teeth. Another gastronomic problem I’m often faced with is: exactly how do I eat a dish? Literally: sometimes it’s not obvious and you have to deal with lots of internal struggles like: Utensils or no? (Pizza divides the masses on this one… personally I eat my pizza with hands but my chicken wings with chopsticks lol.) If it’s not completely obvious what to do, I have to hesitantly wing it. Sometimes I get the guts to ask the waiter nonchalantly. Sometimes I prefer drink more wine, opting for liquid cour -- creativity. 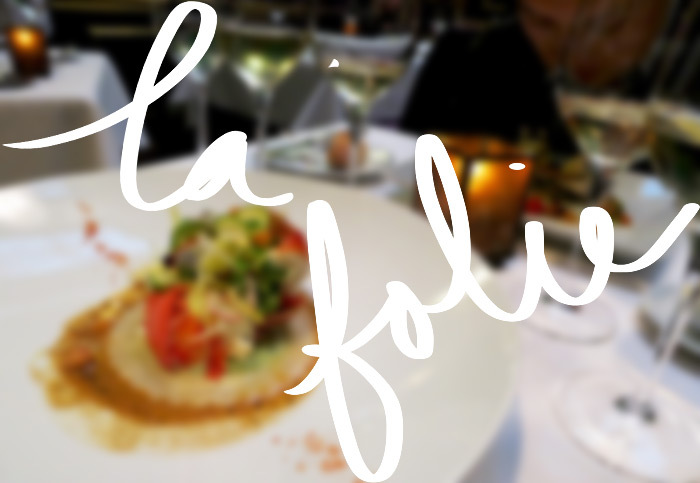 La Folie is a gorgeous French restaurant in San Francisco. They’re very proud of their 1 Michelin star and go HAM with the fancy dishes. OK, the next two were easy and comforting. 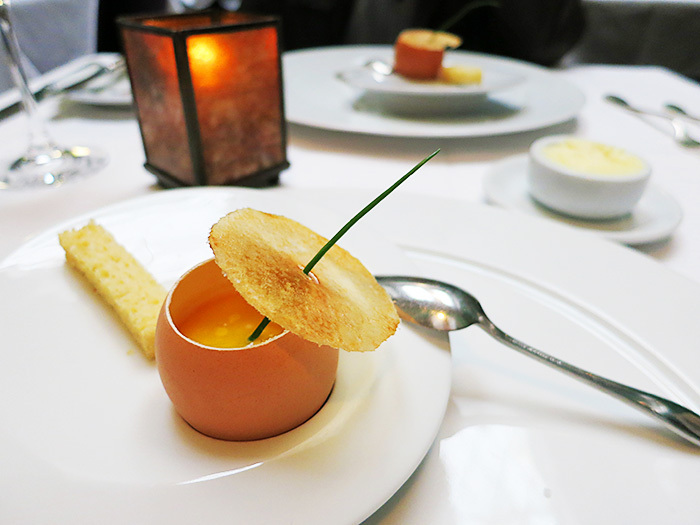 Glorified dippy eggs and gorgeous caviar! Do you like to dip your food in the ‘sauce decor,’ or are they always decoration only?